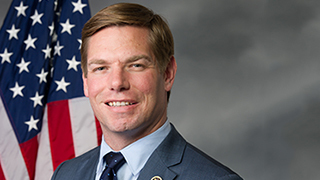 Congressman Eric Swalwell represents the 15th Congressional District of California. He serves on the House Permanent Select Committee on Intelligence and the Committee on Science, Space, and Technology. Now in his second term, he’s working hard to bring new energy, ideas, and a problem-solving spirit to Congress, with a focus on advancing policies that support equality, opportunity, and security.